Jennifer Fulwiler Show: Can you bring your faith to work? NEW YORK (Feb. 7, 2017)–Legatus magazine editor-in-chief Patrick Novecosky was a guest on The Jennifer Fulwiler Show this afternoon on Sirius XM’s The Catholic Channel. Fulwiler asked Novecosky about the challenges about sharing one’s faith in the workplace. In a post-Christian culture, there is a debate about the best way to live between those who have a daily walk with Christ and those who live a secular life, he said. They discussed how business owners and other leaders can live their faith at work — and also how regular workers can be more overt about their faith at the office. Novecosky talked about praying for those we work with and waiting for an opportunity to share our faith as St. Peter wrote: “Always be ready to give a reason for our hope.” CLICK HERE to listen to the entire interview (17 minutes). DECEMBER 3, 2010 — Patrick Novecosky, editor of this blog, had the opportunity to visit the Sirius XM Studios in Midtown Manhattan this week. 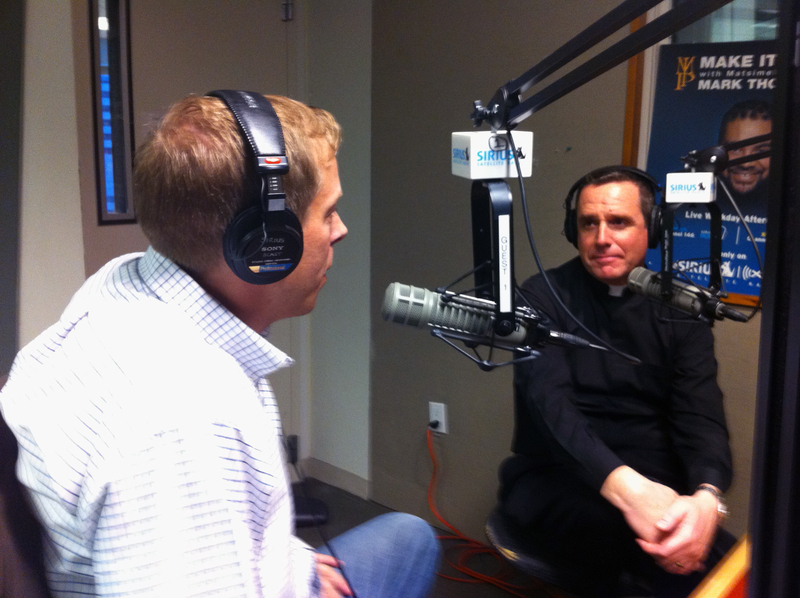 Father Dave Dwyer, a Paulist priest, is the host of the Busted Halo Show on The Catholic Channel (Sirius XM Satellite Radio). He gave a quick tour of the studio (including Howard Stern’s office/studio) and the little studio where, he said, Bruce Springsteen performed live last week. One of the most dynamic priests you’d ever want to meet, Father Dave brought Novecosky into his studio for a chat last night — Thursday, Dec. 2. They talked about writing, journalism, Legatus, the Catholic Church and Novecosky’s faith journey … all punctuated by a laugh or two.